Tom's Boat Shop is committed to providing boats and services of the highest quality and greatest value to our customers. We are a trusted boat dealer that's located in Wilbur, Washington, near beautiful Lake Roosevelt. Our knowledgeable staff will help guide you through your boat purchase with an unparalleled honesty that you don't find just anywhere. 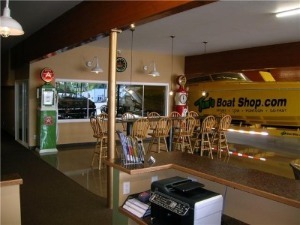 Stop in today, and we'll show you why our boat dealer in Lincoln County, WA, is different. Summerize and Deliver to You!